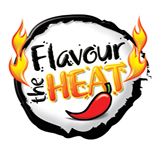 We just love chillies, the hotter the better, but it was a sad day when the chilli lover had a non-chilli lover, his dishes were mild and bland until one day he decided to make chilli salt - not only chilli salt but the World’s Hottest chilli salt and also the nicest. The chilli salt grinder contains organic lake salt. The ingredients used in the chilli salt are the freshest around giving it the best possible shelf life and giving you lots of time to use your new favourite thing in the cupboard with your favourite dish. Share it with friends but, be warned, we have heard rumours that people are stealing your favourite thing and taking it home to put in their cupboards and using it in their favourite dish, making it their favourite thing.